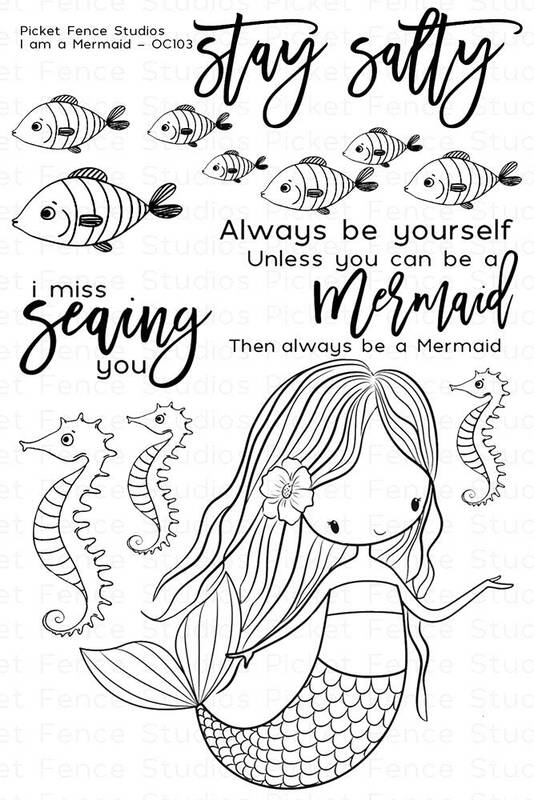 Photopolymer stamp set featuring a mermaid with scaled seahorses, a school of fish and sentiments. Designed by Nicole Petersen. Includes 8 stamps. Mermaid is approx. 2.75 x 3 inches.